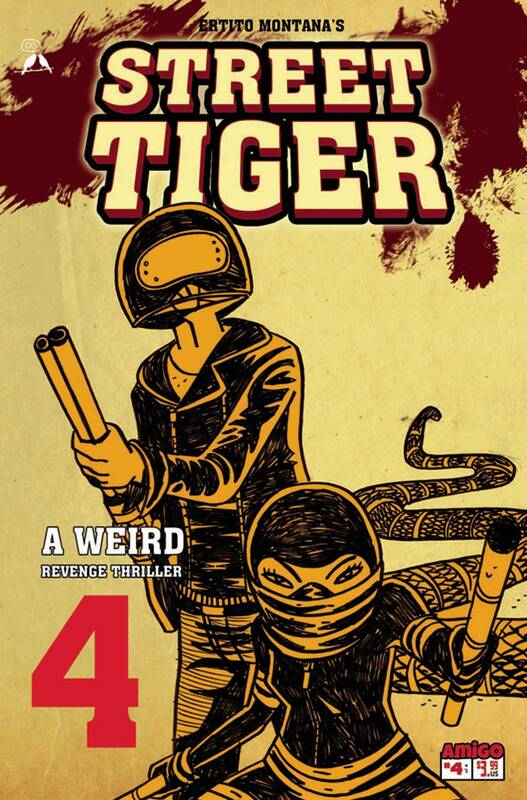 Street Tiger is back to work, but this time he isn't alone! After his failure taking down the crime lord Egghead, the Nam City vigilante enlists the help of the deadly Black Dove. Don't miss the last issue of this head-busting, knuckle-cracking, exploitation comic by innovative artist Ertito Montana.